Best April Fools prank in a classroom ever! A cover of popular Nepali song “Goreto ani ustai cha…” by VJ (Vijay Ghimire). Cultural Night at the 30th ANA Convention held on June 30, 2012 at Hilton Anatole Dallas with the theme of ‘Saya Thari Baaja, Eutai Taal’. A skydiver’s close encounter with a meteorite is caught on tape! Ashton Kutcher makes some good points during his acceptance speech at the Teen Choice Awards 2013. Peter McDonough is back with another awesome Nepali cover song – this time he is performing Yama Buddha’s “Saathi”. Check out this catchy song and music video for the song “Sunday Morning Love You” by Bhim Niroula. Check out this interesting video that explains why we, humans, yawn! Cover of 1974AD’s popular song Sambodhan by Peter McDonough, an American who spent his childhood in Nepal and can fluently speak Nepali. Dramatic representation of the Royal Massacre in Nepal by Zero Hour. Dikyi Ukyab performing ‘Ayera’ from her album Silver Lining during ANA Fashion Extravaganza at Hilton Anatole Dallas on June 30, 2012. Astha Tamang-Maskey performing “Gotta be Love” at Fusion Nite in Dallas, Texas. Prabal Gurung is a very successful Nepali fashion designer, currently residing in New York, who has made a mark of his own on the world of fashion with his unique design perspective. Check out this amazing documentary about Nepal by Robin Wallace. The video covers trek from Luka to Everest base camp along with tour of Bhaktapur, Kathmandu city and Chitwan National Park. Welcome to NepHub – Nepali Infotainment Hub! 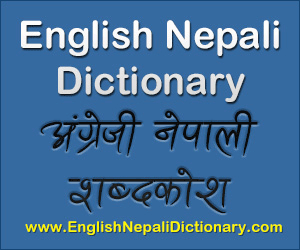 Nephub.com will serve as an infotainment hub for Nepalis around the world. The site will feature news, videos, photos, events and other useful information related to global Nepali communities.